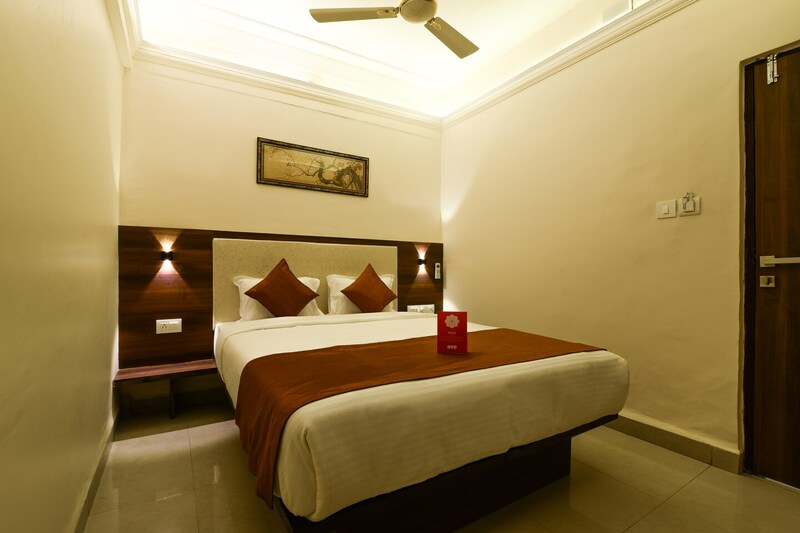 Sunheads Goa is a wonderful place to stay near Miramar Beach Goa where guests can enjoy pleasures of pampering. Every room in the hotel is tastefully designed. The artwork on the wall and furnishings used in the rooms perfectly blend with overall look. Curtains are thick and heavy to provide relaxed sleep at any time of the day. The room amenities are Private balcony for outside view, air conditioning system, bedside tables with switches for easy charging, working desk, tea/coffee maker, wardrobe, flat screen TV with cable, private bathroom with latest design and fixtures, wardrobe, side lamps and mirror for getting ready. Carasid, The Oak Barrel, Pizza Mia, Mums Kitchen and Wan Hao are popular restaurants at a walking distance from the hotel. Caculo Mall and Bulchee are nearby markets for shopping.